Sheki, an ancient Azerbaijani town featuring a majestic landscape, comes alive with sounds and colours. 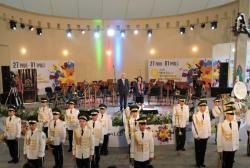 The 9th Silk Way International Music Festival opened its doors to music lovers on June 27. 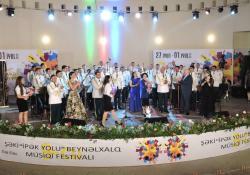 The long-anticipated festival is co-organized by Azerbaijan Union of Composers, Azerbaijan Ministry of Culture and Sheki Executive Power, Trend Life reported. The music festival brings together the best of local and international artists from Turkey, Russia, Hungary and Kazakhstan. 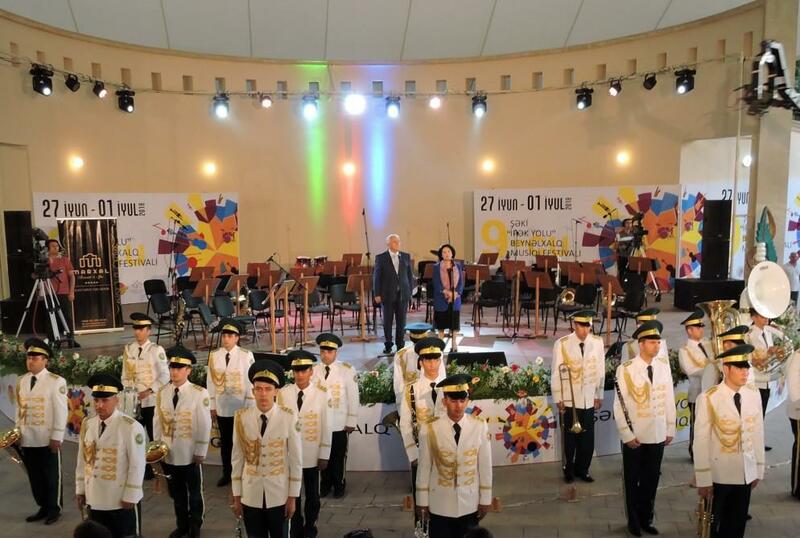 Addressing the opening ceremony of the event, the artistic director of the festival, Chairman of the Azerbaijan Union of Composers Firangiz Alizade noted that the 9th Silk Way International Music Festival will leave a memorable impression. Firangiz Alizade stressed that the program of this year's festival is very rich. Scientists and experts from 10 countries of the world will take part in the International symposium of the research group "Magam" of International Council on Traditional Music of UNESCO, organized as part of the festival. The symposium covers history and culture of the city of Sheki as well as preservation and promotion of world folk music. The head of Sheki Executive Power Elkhan Usubov said that being one of the ancient centers of culture, Sheki is a great place for holding international festivals. It was stressed that the annual Silk Way International Music Festival is a major event in the cultural life of Sheki which leaves wonderful memories. 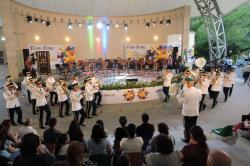 Then audience were thrilled with a gala concert of the Model Military Orchestra of the State Border. The orchestra was conducted by its art director Samad Vekilov. At the end of the concert, which was accompanied by a storm of applause, musicians received memorable gifts. With its spectacular concerts, featuring talented artists, festival gives an indescribable feeling of joy. The festival is also important in terms of promoting Azerbaijan's rich culture, as well as the tourism potential of Sheki. 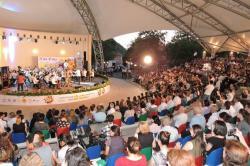 The program of the festival includes a concert of Zirve ensemble the State Chamber Orchestra named after Gara Garayev, Sib-duo (Russia), Murager ensemble (Kazakhstan), Turkish ensemble, Hajnalka Hajdara-Herczeg & Tamas Hajdara dance duo accompanied by Magos ensemble (Hungary), mugham opera Asli and Kerem by Uzeir Hajibeyli, mugham concert featuring Elnur Zeynalov (khanende), Sanan Aliyev (tar), Anar Yusubov (kamancha). The closing ceremony will feature a joint performance of Azerbaijan State Orchestra of Folk Instruments and soloists of TURKSOY countries.